I have been investing in the stock market for nearly 10 years and acquired quite a bit of experience and knowledge (mainly through making mistakes). I’ve never codified on to a piece of paper until today. Before I begin, I want to give credit where credit is due. This post was inspired by CommodityWorld.com’s Common Sense Rules for Traders. Moreover, these are personal rules — so pick and choose what you like and ignore the rest. Pay off your debt before you invest. Clean up your finances before you invest. You are guaranteed to save money on interest when you pay off your debt. On the other hand, there is no guarantee that your investment will make money; especially when you are new at it. Do your homework. Do not trade until you understand the market and what it has to offer. Learn about investing and the different kinds of investment before you jump in. Know yourself. Understand your risk tolerance and formulate your investment strategy based on your risk profile, goals, and time horizon. Have a solid strategy. Did you do 1, 2, and 3 above? Always remain true to your plan and follow the style that works best for you. Do your research. Never buy and sell if you do not understand what you are buying or selling. Learn how to read Cash Flow Statement, Balance Sheet, and Income Statement. Better yet, stay away from stocks altogether and use asset allocation and rebalancing strategy with investment vehicles like ETFs and mutual funds. Stick with liquid investments. Limit your exposure to investments, such as collectibles, commercial real estates, and limited partnership. They are difficult to sell quickly at a price close to its market value. Investments such as stocks and bonds give you greater flexibility and have great historical performance. Time is money. The more time you have to invest, the more money you will make. Do you realize what difference a decade make? So start as soon as you can. Be patient. Never get into the market because you are eager and never get out of the market just because you panic, or lost your patience. Buy and Hold. Do not be an active trader. If you sell your winning investments held less than 1 year and 1 day, you are paying more taxes. Be tax efficient. Invest high yield investments or funds with large distribution in your tax-sheltered account — unless, you want to pay other people’s taxes. This is why I favor ETFs over mutual funds. In taxable accounts, consider trading out your losses before the end of the year to offset your gains. Keep costs low. If you have done your homework, there is no reason why you cannot use a low cost discount broker and save precious dollars over a full-service broker. Likewise, stick with mutual funds with no load and low expense ratio; better yet, try ETFs. Use Limit Orders. You cannot control the price at which your order will be filled with a market order. Market order is okay most of the time, but for some investments, a limit order gives you greater protection from price fluctuation. Remember that your limit order may never be executed. If you want to use market order, do so while the market is open. Use Stop-Loss Orders. Create a plan to limit your loss. For example, set up stop-loss orders at reasonable price limits; a good range is 10-20% depending on the volatility of the investment. Here is a good reason why you should cut your investment losses early. Lock in your profit. As your investment value rises, increase your stop-loss limit to lock in the profit. Establish an emergency fund. Try to keep a small amount of cash that you can use for emergencies, or other opportunities. Diversify. Divide your money into different investment vehicles (e.g., money market, stocks, bonds, mutual funds, ETFs, etc. ), as well as different asset class (e.g., large US companies, small US companies, global, etc.) and sectors (e.g., financial, utilities, technology, etc.) based on your time horizon and risk profile. Never risk more than 10% of your capital on any one investment; especially an individual stock. Reallocate once a year. Different investments will grow at different rate and throw your asset allocation out of whack. It is a good idea to rebalance your portfolio at least once a year, or more, depending on the degree of misalignment and expenses involved. Alternatively, use poor man’s reallocation by adding new money to this year poor performers. Manage your risks. In addition to diversification, do not risk the money you will need in the near future in high volatility investments. Be wary of bargain. Never buy just because the price of the investment is “low,” or sell just because the price is “high.” Study the factors that are driving the price and why. Buy and sell based on your research. Stay your course. Never change your investment strategy without a good reason. If you did your research and executed accordingly, everything should be fine despite short-term setbacks. If your investment drops significantly, the stop-loss order will take care of you. Never let greed or fear take control over you. Don’t try to time the market. Do not guess where the top and bottom of the market is. Do not be afraid when the market, or your investments, reach all time highs or lows. Market timing myths like January effect and October effect are not real. Use your strategy and research as a guide. Don’t believe the hype. Do not listen to the news and believe everything that is said, instead use your strategy and research as a guide. Never sell into a panic. Self-discipline is your friend when the market goes against your position. Do your investments become unsound just because the market tanked? A bad market does not make your investments bad. Don’t pile your bet on the winners. Avoid the natural tendency toward increasing your position in successful investments. Let your winners ride and look for more winners. Don’t throw good money after bad. If your investment is taking a dive, do your research and understand why. Do not just keep piling in money to cost average down; something may have changed since you last did your research. Regular contribution is your friend. If you have a big chunk of money, don’t use dollar cost averaging. It’s usually better to invest it all instead. However, do regularly contribute to add new money to your investments. Avoid taking small profits and big losses. Do not sell your rising star just because it doubled in a few days. Do your research. If it is still a good investment, keep it. Reinvest for success. If your investment pays dividend or distribute capital gains, reinvest that money. You can participate in automatic reinvestment program to avoid any minimum investment rule or trading fee. Find your magic formula. If you have expertise in a certain area, leverage it to boost your chance of success. If you figured out something that works, stick to it. That is until you can find a better magic formula. Not all investments are created equal. Do not treat all investments the same way. Learn their specific characteristics and choose the right tools for the job. Look through other people’s eyes. Try to understand why a buyer would buy, and why a seller would sell. This will enable you to be more flexible, and maximize your potential gain. Learn from your mistakes. Do not fret, but never let a mistake pass without learning from it. Asking yourself what happened and why. If possible, keep a log of your investment activities — e.g., why you made them, what happened and why, etc. Avoid trading on margin. Always invest within your capabilities. Trading on margin is a risky business. At the least, you are guaranteed to lose the interest on money you borrowed. Be flexible. As your knowledge grow and time change, be ready to reevaluate everything and alter your plan. Have fun. Finally, have fun investing! Here is $1,000,000 in play money to try out your investing strategy — it’s free and you can earn money. What are Exchange-Traded Funds (ETFs)? A big yes to number 1!!!! Paying down debt before investing should always be a priority especially as most debt interest rates are higher than investment rates, which remain exceptionally low at the present time. It’s kind of funny, but I woke up early this morning and just started writing down some of my investment strategies. Then later this a.m. I Googled a search to read others’ investment philosophies. Your ideas and mine pretty much paralleled each other (of course, your list is much longer.) I am keeping your list because it is so simple and applicable. Thanks! Clean up your finances before you invest… Yep.. Normally people invest more when they need more (to pay their debts), but that is not the case. It has to be reasonable. @Personal Finance HQ – For the most part, I am still true to my 35 rules. However, I have been shifting slowly away from individual stocks and even mutual funds where I can, and moving toward low-expense ETFs. I believe that overall, ETFs are superior to both mutual funds and individual stocks. Good tips there. I’d be interested to hear how your rules have helped you out during the recent market turmoil. Have you learned any new lessons? Or have recent developments shown the strength of your strategy? Certainly for me, stop losses got me out of a lot of stocks fairly early in the drop. I then had the cash to buy back as things started rising again last week. I just hope this ‘recovery’ holds :-). @Cheapster Bob – Thank you and welcome to Moolanomy. When I wrote this, I traded a little more actively. Since then I have begun to move away from individual stocks, so some is not as applicable as much. However, the list is comprehensive enough to be useful for a variety of investing style. Right now, my style is closer to what you described — very good by the way. However, I would take it a step further and use index ETF instead of fund. This should cut your expenses by another 0.2% to 0.5% — this could be a lot of money down the road. @Paradise – Welcome to Moolanomy and thank you. @NM – I will have a look at these sites. I quickly glanced through them and they seem interesting. As I told Bob above, I have recently shied away from individual stocks and have been focused more on building a balanced portfolio of ETFs. This is quite an informative post. I agree with most of them. I’ve made a copy of this post. I hope to utilize them in my daily routine. Nice information and I agree with most of them for active traders. However, I like to keep things easy and dumb. Have a month or two earnings in a high yield savings account. Invest in your companies 401K to the max. Invest in a good traditional or Roth I.R.A. If you still have money left buy a simple S&P type index fund making regular auto investments. 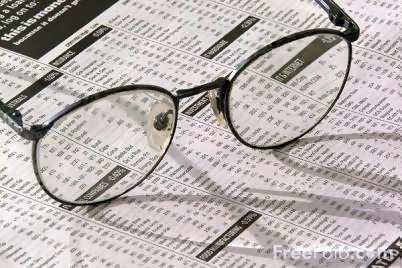 Stock trading usually loses to mutual funds which loses to the S&P index 80 percent of the time. Trainee Investor – thank you for your very thoughtful comment (and nice blog by the way!). I agree with you absolutely. These rules are very generalized. Here’s some more thought on some of the points. #1: I should clarify as bad debt – i.e., credit card, high interest loan, etc. It would not be wise to wait to pay off your home mortgage before investing. #6: Yes, very profitable but not for typical investment beginners. You need a certain level of expertise to work with illiquid investments. #26 dollar cost averaging may reduce risk, but it has also been shown to reduce returns compared to a lump sum investment. Lastly, some of the items on the list seem appropriate for an active trading strategy. Others are more suitable for passive or longer term investing.